A Chicken Salad Chick is opening next to Whataburger on Old Fannin Road. I have never heard of it before, but I do like chicken salad. Therefore, I performed a smidge of research to find out more. Chicken Salad Chick is a fast casual chain of chicken restaurants based in Auburn, Alabama. As of November 2015, the chain consists of 43 franchise restaurants and 8 company-owned stores. 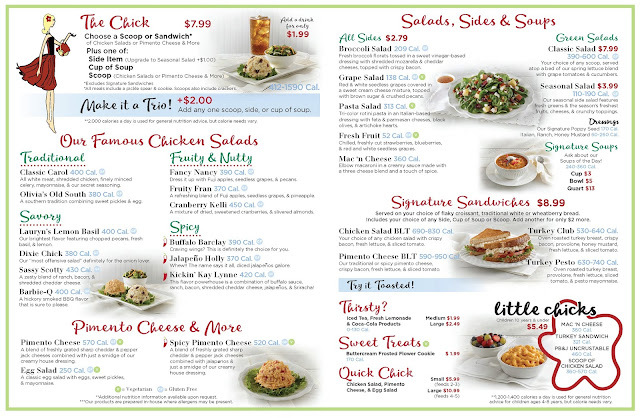 Chicken Salad Chick has restaurants in Alabama, Florida, Georgia, North Carolina, South Carolina and Tennessee. The company plans to expand into Louisiana & Texas sometime in 2016. The company was founded in Auburn, Alabama, in 2008 by Stacy and Kevin Brown. Present Mississippi locations are in Olive Branch and Oxford. 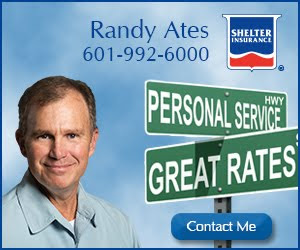 There are three in the Mobile, Alabama area and a couple in the New Orleans area. Sheriff Bailey has made arrangements for extra deputies in the neighborhoods on Tuesday, October 31st for Halloween details. The purpose of the increased presences, is to ensure everyone drives safely, has a good time and watches out for all the walkers participating in Trick-or-Treat. Since it is a school night, we ask that you complete your festivities prior to 10:00 p.m.
For the older school age participants, please ensure you have a good ending to the night by not engaging in malicious activity. If you are found engaging in misdemeanor criminal malicious mischief, you will be dealt with accordingly. Thanks for your continued support of your Sheriff's Department. Neighborhood trick-or-treating is still a thing; however, if you are looking for something different, try the City of Flowood's Kid's Night Out at Liberty Park. Right now, the weather forecast predicts mostly clear skies with a high of 74 degrees and a low of 51 degrees, with only a 10% chance of rain. Season's Mini Golf has a Haunted Paintball Hayride every Thursday through Sunday, from 7 p.m. until close. $25 for a standard ride and $35 for VIP ride (I don't know the difference). Allegedly, the ride lasts 30 minutes or so. Sounds like fun! House of the Haunted Fields in Raymond is back in action this Friday. "Horror in the woods of Raymond. This is a unique haunt like no other .You will be touring an antique haunted house followed by a dark , winding trail of terror on over two wooded acres. PG-13 is our suggested rating but we will leave the decision making up to parents.We will be posting Victim Cam photos as well as IR video so that you can tag your friends if you survive . Join us if you dare . Info on certain event nights will be listed under the "Events" tab. Tickets are $10 and include the house tour as well as the trail of terror." The Dark Zone is back in action at the soccer fields in the Crossgates portion of Brandon. This Friday and Saturday only, from 7 p.m. until 10 p.m.ish. $10 per person. $5 to take 50 shots at the Zombiegeddon shooting gallery. Take a drive to the Bailey Haunted House in Meridian. $10 per person. Below are the Executive Committee and Committee Agendas for today's committee meetings. There will be some interesting discussions. Monday, October 16, 2017 4:00 p.m.
1. Consideration of establishing a PIN for “Engineer 4”. 2. Consideration of bylaw changes for term limits for officers and clarification of who is authorized to sign leases. Monday, October 16, 2017 2:00 p.m.
2. Discussion for reporting Section 9, HB1520 Study. 3. Review response to Reservoir Police survey. 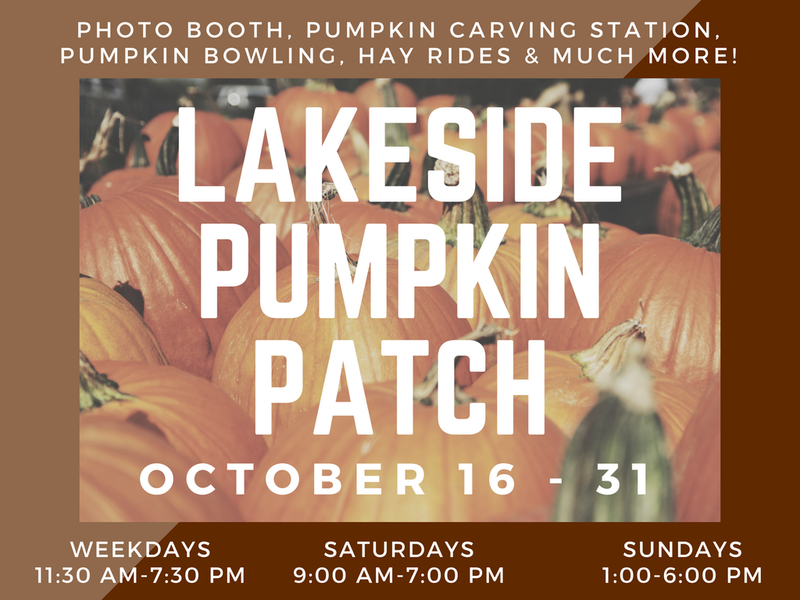 Join us next week at the Pumpkin Patch! All shapes & sizes available for purchase. Sat, Oct. 21 is Family Day. $5 covers face painting, pumpkin carving, bouncy houses, games, hay rides, a photo booth & more! 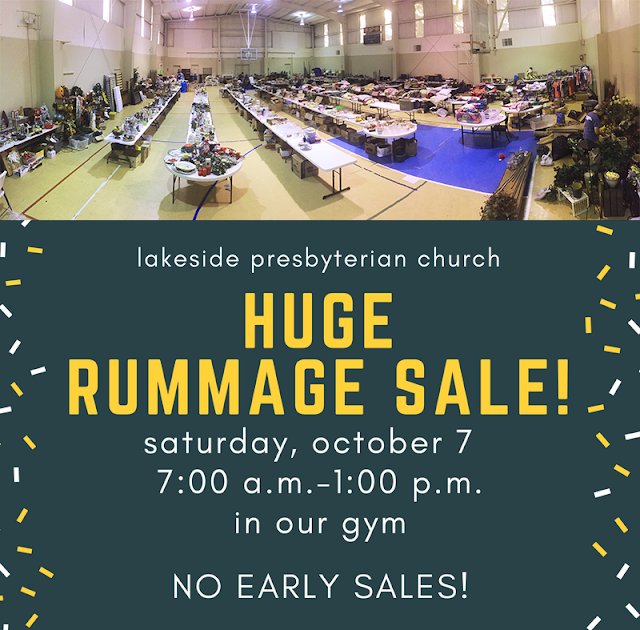 All proceeds support Lakeside Youth Missions. - The Rez Map, with its many layers, provides a wealth of knowledge. 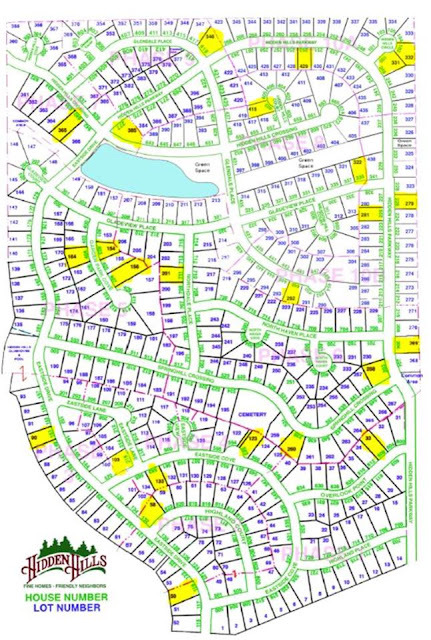 Boat ramps, hiking trails, hunting land, land use plans, zoning, and much more. - Board of Directors Minutes, agendas. - Email addresses for all staff, including the Executive Director. - A copy of James E. Sorrels, The Pearl River Valley Reservoir Project: A Study of the Creation and Promotion of a Regional Reservoir (U. of Miss. Press, 1962). - Brochures from each of the campgrounds. That's just a scratch on the surface. Here is a map of the houses in Hidden Hills that are participating in the neighborhood garage sale tomorrow. Plan accordingly. All proceeds go to the Women's Ministries for their missions and projects. Check out the new paint job while you are in there. - Gatorbait Kayak Race, October 7, 2017, at Pelahatchie Shore Park. This event gets bigger and bigger each year. - Run to the Latin Beat 5K, October 14, 2017, at Old Trace Park. Put on by the Mississippi Hispanic Association. Cash prize for the 1st overall winner for males and females. - Brawn and Bubbles - Run for the Brain at Madison Landing Circle on October 19, 2017. - Arts and Crafts Fair, November 18, 2017, at Lakeshore Park. Admission is free for this 4th annual installment put on by the Barnett Reservoir Foundation. Add your neighborhood garage sale in the comments. Old news, I know, but it's good news: One Guy Steak and Chicken is back. The Supervisors did the right thing, in my opinion. I was having trouble understanding how this food truck somehow created a safety hazard, yet allowing rec league baseball players to panhandle at an intersection isn't. On a major thoroughfare with two gas stations under construction, a pawn shop, a car wash, and multiple storage unit facilities, this food truck brings a slight ray of hope. St. Mark's UMC continues its community outreach and local ministries by offering the following seminars. St. Mark’s United Methodist Church at 400 Grant’s Ferry Road in Brandon is offering 2 special seminars to give hope to those who are approaching the holidays with a sense of loss and loneliness. Griefshare: Surviving the Holidays, for those grieving the death of a loved one, will meet Thursday Nov. 2nd from 6:00-8:00, and DivorceCare: Surviving the Holidays, for those going through separation or divorce, will meet Tuesday Nov 7th from 6:00-8:00. Participants will view a video and take part in small group discussion. There is a $5 fee which covers the cost of the workbook, and childcare is available if pre-arranged. For more information or to register, go to saintmarksum.org or call 601-992-2131. There were at least thirteen vehicle burglaries in the northwest part of Rankin County over this past weekend. The burglaries were concentrated to the Scottish Hills and Castlewoods neighborhoods. All of the vehicles burglarized were unlocked and items such as guns, cash, and electronics were taken. In some of the Rankin County Burglaries, victims were able to supply the sheriff’s office with video, which was instrumental in identifying the suspect. Investigators in the tri-County area meet once a month to discuss crimes and crime trends in the various jurisdictions. They use email and social media to share information between the different jurisdictions. Information about these burglaries was posted to a law enforcement social media site on Sunday. 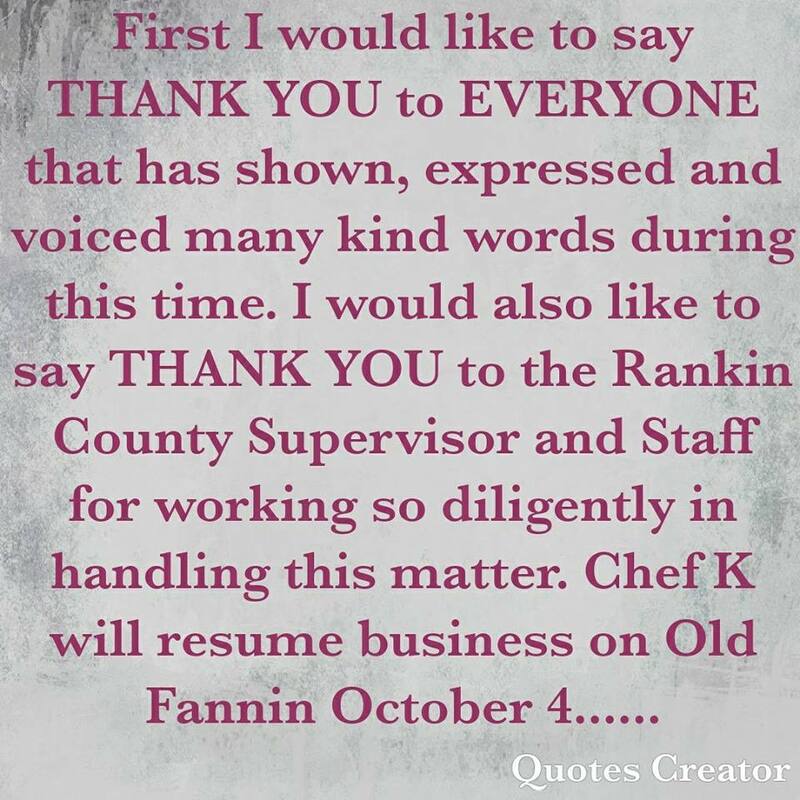 Within five minutes of the posting, a Flowood Investigator contacted Rankin County Investigators, reporting a conversation he had minutes prior with Clinton Investigator Nick Sprowles, regarding a vehicle burglary suspect, Woodrez Tremayne DAVIS. Investigator Sprowles supplied information that DAVIS was in the Northwest area of Rankin County early Saturday and Sunday morning. Based on Investigator Sprowles information and video surveillance evidence, it was quickly determined that DAVIS was the prime suspect in Rankin County. When this information was posted on the law enforcement social media site, Investigator John Cooley with Madison Police Department reached out to lead Rankin County Investigator Michael Chandler stating DAVIS was also a suspect in some vehicle burglaries in their jurisdiction. Investigator Cooley was able to secure three felony warrants on DAVIS. Rankin County Investigators Chandler, DiMartino and Burleson coordinated with Investigators Sprowles and Cooley along with the US Marshal’s Service to located and apprehend DAVIS. DAVIS was located on Dalton Street in Jackson where he was taken into custody. At the time of his arrest, Investigators were able to locate, in plain view, items stolen from some of the Rankin County burglaries and well as property from Clinton. A search of the residence did not produce any additional stolen property. The weapons that were stolen were sold on the streets in Jackson at various gas stations, according to early statements given by DAVIS. A criminal history on DAVIS shows his first arrest in April of 1997 and his most recent was February 2016. 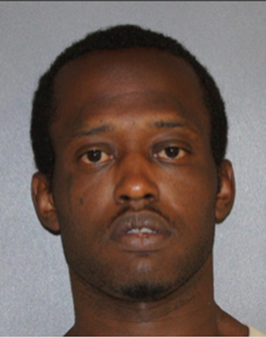 DAVIS has been arrested five times for vehicle burglary, two times for grand larceny, two times for motor vehicle theft, four times for stolen property and four times for felon in possession of a firearm. Some of his arrests had multiple charges. It is unclear at this time how many counts of vehicle burglary he will be facing in Rankin County as well as his charges in Madison and Clinton. The burglaries in Rankin County were committed early Saturday and Sunday morning, through the diligent work of Madison, Clinton and Rankin County Investigators, this habitual criminal will be in for a new experience when he goes before Madison/Rankin District Attorney Michael Guest. DAVIS was transported to the Rankin County Jail, where he is currently charged with multiple counts of vehicle burglary. 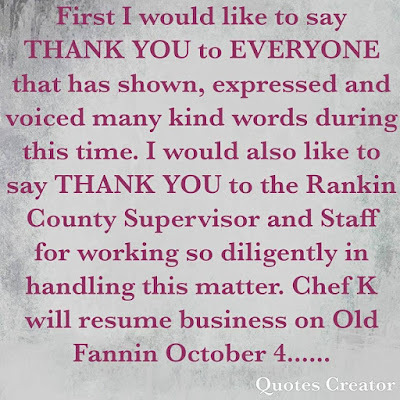 Clinton and Madison will be working their charges at the same time as Rankin. This is a great example of citizens and law enforcement working in concert to remove a public menace from the streets. If it were not for the collaborative effort of all agencies involved, there is no question DAVIS would have victimized many more citizens in the Tri-County area. Thank you to the Clinton Police Department, Madison Police Department and the U.S. Marshals Service for helping us apprehend this career criminal. Do you see where the Sheriff discusses Davis' habitual status? 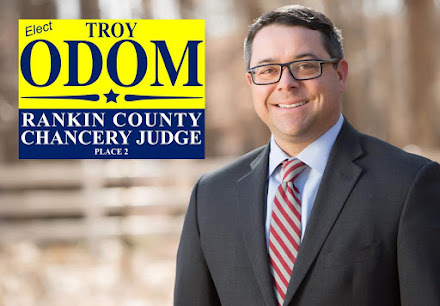 At his blog, Kingfish has additional information about the catch-and-release program practiced by the Hinds County District Attorney and Hinds County judicial system. The Second Adam 5K Run is October 21, 2017 at the Flowood's Liberty Park. Register here. Second Adam is part of the For All Mankind Movement, which seeks to train ministers and plant churches in the Middle East and South Asia. The descendants of the first Adam, whose fall separated man from God, are atoned through Christ, the second Adam.